An attack on a supermarket in France yesterday in which three innocent people were killed and 16 injured was carried out by a Muslim, who was a petty criminal but became radicalized by ISIS. 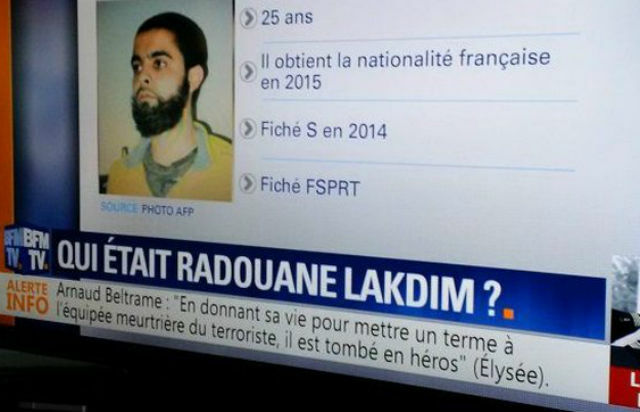 The ISIS declared that the attacker was a “soldier of the Islamic Sate”. Thus, once again one Muslim commits an act of terrorism in the name of a terrorist ideology that uses the name of Islam and brings dishonor and disgrace to the Islamic religion and its followers. Once again, Muslim communities and new immigrants living in the western countries become suspect in the eyes of many people. What we need to keep in mind and tell others that such individual acts of terrorism and the killing of people have nothing to do with Islam or with the vast majority of Muslims living in Europe or in other western countries. Muslim people are as much victims of such crimes as others. What ISIS did in Iraq and Syria, and now is targeting people in many other countries, such as Libya, Afghanistan, etc. etc., and other countries is directed against the ordinary Muslim people. The victims are both Muslims and non-Muslims. On behalf of many like-minded people and friends, I strongly condemn the brutal murders and the harm to the innocent people at the hands of a misguided and pathetic individual, and the people using people like him to commit such dastardly crimes. Along with many other politically active people, I have also opposed and wrote against the roles of imperialist powers, their policies, their wars and war crimes, and their criminal support for dictators, oligarchs and terrorists for many years. However, we should never use the policies of these governments to justify any individual acts of terror as in the present case in France. Terrorism in the name of any religion or religious ideology (Islamism, Hindutva militarism, Christian fundamentalism, Zionism, anti-Muslim Buddhist mafia) is vicious and should be fought against by all democratic forces, and we should never compromise on this because some brainwashed maniacs and social oppressors are using the names of religions or religious symbols to advance their objectives.